Anirban Sengupta (Bengali: অনির্বাণ সেনগুপ্ত) is an Indian Bengali poet, writer, singer of this modern era. He has logic behind his literary works and others. His immense love for music particularly for Tagore Songs is unique. Specifically he is a complete admirer of Rabindranath Tagore. More over at this crisis moment he has a stronghold in his farthest corner of his heart for Bengali culture and music. Anirban was born on 1 June 1996 at Alipurduar, a former subdivision of the state of West Bengal and now become a district town. His father Partha Sengupta is a State Government employee and his mother Dipali Sengupta is a housewife. His birth name is Anirban Sengupta and he achieve his success with his birth name that Anirban. Anirban was involved in music from the early days of his life. His musical journey is still continuing. In his course of life he gained deepness and enough maturity in his thinking and he entered the world of literature. After that period his music and writing spread their steps hand to hand. Now he involves very much in writing and equally he is trying to gain knowledge about literature and technicality of writing as much as one can. Anirban found a CD from the corner of his room when he was student of class 9. The CD was contained with 120 Tagore Songs. After hearing the CD Anirban became interested in the world of music specially in Tagore Songs. After gained success in Madhyamik Examination he started his musical journey with the mastery excellence of Mr. Manojit Dey. Very soon Sengupta’s talent in the field of music direction came in limelight in Geetosudha Music Production and in front of Mr. Manojit Dey. Mr. Manojit Dey appoint him in music direction in Geetosudha Music for an one year course which named “The Project Resound of Tagore Songs”. But Anirban completed the target within only three months. Anirban performed in his first live performance in a concert in Youth Festival in the year 2012 on the occasion of the 150th Birth Anniversary of Swami Vivekananda. In the live concert Anirban conducted the concert. In 2013, he and his companions conducted a concert at Dooars Festival. Anirban concert of Dooars Festival made newspaper headline and not only that, he also received admiration from the great singer Raghab Chaterjee. In the year 2013, he gave an audition in a reality show named Voice of North Bengal. The judge was the famous vocalist of “Bangla Band” Cacktus, Shidhu. But Anirban was not selected for the final as he was not spread out his music in versatility. Musical life of Anirban started from the world of Tagore Songs. He is an qualitative songs-tan of ''Geetosudha'' in the education Visva Bharati Sangeet Samiti. His famous song released from ''Geetosudha'' are: Aami Chini Go Chini Tomaare, Ektuku Chhoyaa Laage, Paaglaa Haawaan Baadal Dine, Aami Tomaay Jato, Aaj Khelaa Bhaangaar Khelaa, Aamaar Raat Pohaalo, Jodi Tor Daak Shune Keu Naa Aase, Saghano Gahano Raatri, MaayaaBonoBihaariny, Edin Aaji Kon Ghare Go, Din Jodi Holo Abosaan, Ei Kathaati Mone Rekho etcetera. Anirban started his literary career with script writing. At first he started his life as a writer with the romantic love poems but later on he continue his writing with the versatile topics of nationality, essays about social rituals and culture, nature, personalities, historical events, fantasy, science, philosophy and detective fictional stories etc. 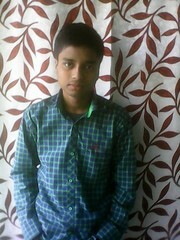 Anirban started his career as a writer from the middle of the year 2010. He likes to write on different topics. From the childhood Anirban was interested in science but in latter life he become fond of literature. When he was in class 9th standard, he was interested in Bengali literature. He started his poetic life in this way. He started to take initiative to publish his poetry in various journals and periodicals. Anirban carefully read Marx and Engels and became a thought able person of Marxism in 2012. According to Anirban, his very first influence in his life was his father and also mother. He also acknowledged that Indranil Sen, Srikanto Acharya and The Bengali Polymath of Tagore family and Brahmo philosopher Rabindranath Tagore have always been his idols. In an interview Anirban said, “I use Rabindranath Tagore style and the personification of writing skill when a narrator understands. He also mentioned the names of Satyajit Roy, Sharadindu Bandyopadhyay and Bankim Chandra Chattopadhyay as his biggest inspirations towards modern Bengali literature”. Are you sure you want to remove Anirban Sengupta from your list? July 8, 2016 Edited by Salowk Sengupta Edited without comment. June 27, 2016 Edited by Salowk Sengupta Edited without comment. June 25, 2016 Created by Salowk Sengupta Added new book.